#417 Pilot House: Waterfront cottage with boat dock! Enjoy beautiful sunrises over the water! Dog friendly too! Fish or boat directly off our shared dock or even dig for clams to cook for dinner! Our cottage is perfectly located on the Nauset cove and estuary. The large, gated deck is where you'll enjoy cocktails and grilling, watching boats in the bay, birdlife and beautiful sunrises and sunsets. Inside you'll find a galley kitchen, two bedrooms, a queen bed in one and 2-twins in the other, a gas fireplace in the living room, a well equipped galley kitchen and an updated bathroom. Stay cool and connected with A/C units in both bedrooms and secured wifi and cable to enjoy on your flat screen TV. Anchorage on the Cove by Del Mar Vacations offers a full vacation experience in one place. Put your boat in at Town Cove and pick up your guests for a day trip to anywhere! Enjoy use of our kayaks, canoes or skiff or bring your paddleboard or fishing poles to explore the area. We are centrally located near shopping, bay and ocean beaches, bike trails, art galleries, theatres, great restaurants, and the Cape Cod Institute and Cape Cod Symposia. Rarely does a location "live" up to the photos / descriptions seen on line, but The Pilot House truly was as advertised ! Beautiful views, lots of waterfowl to entertain us from the gated deck, pet friendly and immaculate ! Great customer service too . Perfect for our needs , close to The National Seashore and all lower cape attractions. We plan to return in the Fall . I'm very happy to hear that you enjoyed your stay with us! I speak for everyone here at Del Mar Vacations when I say that we would love to host you again! Noisy attic was the only negative. We loved our little cottage!! Perfect for us, our daughter and our two dogs! Quiet property, beautiful views, and clean house! We had a lovely time, the location is perfect- in the middle of the cape and close to everything. Loved being on the water, using the little row boats provided and sitting out on the deck all day every day. It was the perfect house for our vacation and would love to stay here again! 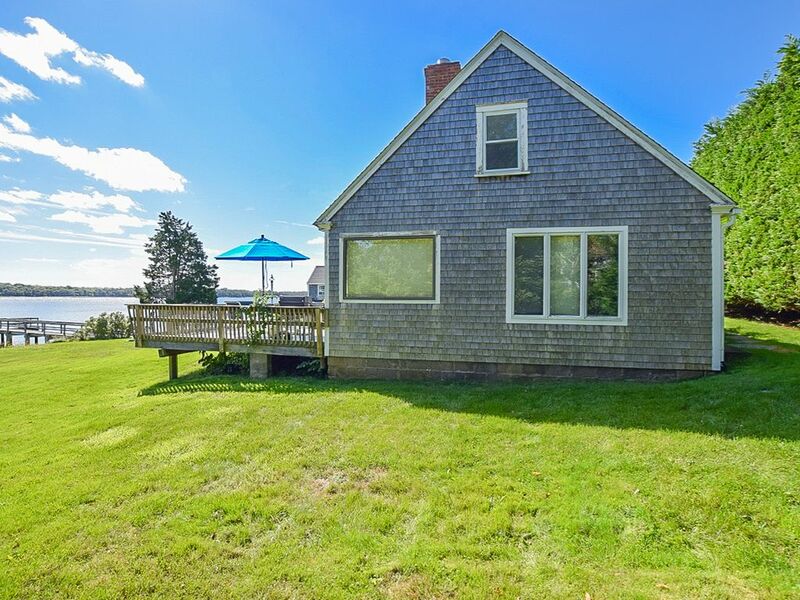 We rented this sweet little cottage in Eastham for two reasons: it is dog friendly and it is on a beautiful bay, with water views. The property is lovely, with lots of grassy areas to walk the dogs and even a fenced in dog run. Usually we spend a week in Provincetown, but we wanted to try a new area of the Cape. The reasons I gave 4 stars instead of 5 are: 1) the property is right on Route 6, which is a very busy road. 2) You have to get in the car to do anything (with the exception of the complimentary kayaks and canoe), so long walks, beach, shopping, bike riding, all require the car. We enjoyed our stay in Eastham and did explore this part of the Cape, but spent our last day in P-town and realized why we love that end of the Cape so much. We had a wonderful stay as the cottage is cozy and the views are amazing! We loved pleasant bay and the ease of getting to beaches, stores, and restaurants. I would actually give this VBRO a 4.5. The only recommendation I have for this little cottage is a new kitchen floor. The cottage is quite rustic but nice enough. Our first night we realized one tiny, little crumb brings ants ... so we adjusted, bleached, and made sure never to leave crumbs and we never saw another ant. Del Mar is very responsive and helpful. We loved having our dog with us and oh, the best part of this little cottage is the deck. Awesome deck!